Over the course of seven seasons of Buffy the Vampire Slayer, Willow Rosenberg goes from a nerdy computer geek filled with heterosexual longing to powerful witch and lesbian. Joss Whedon’s Buffy the Vampire Slayer locates lesbians and lesbianism in a place of power over others and within the magical. The character of Willow is empowered by her sexuality, as her journey of sexual discovery is paralleled by her increasing agency within the Scooby Gang. Buffy is founded on the overarching metaphor that high school is hell; the horrors of life are made literal and take on various forms and guises throughout the series (Little 282; Chandler; Wilcox). An extension of this use of metaphor can be seen in the character development of Willow. Her sexual evolution is a metaphor for her sexual awakening and empowerment. Other representations of homosexual teenagers on television focus on disempowerment and social rejection, for example Jack from Dawson’s Creek, Kurt from Glee, and Anna from One Tree Hill. In contrast, Willow’s exploration of her sexuality coincides with her evolution from nerdy sidekick to powerful witch. Willow is simultaneously empowered by her evolving magical abilities and her sexuality. Through an examination of the facets that make up the character of Willow, in particular the Willow/Tara relationship, it is evident that Willow’s increasing sexual agency and magical abilities are constructed in order to empower her as a queer character. While it is not ideal to define anyone, even fictional characters, by their relationships with others, the trajectory of Willow’s story is shaped by her burgeoning sexuality and the impact of her lovers on her development. Willow’s transformation from nerdy, impotent girl to the most powerful member of the Scooby Gang, reflects a different way of telling queer stories. The formative years of Willow’s development are spent yearning for the oblivious Xander, until she is pulled into the world of Oz, who is himself a supernatural being. After enduring the loss of Oz to the darkness of his inner werewolf, Willow develops an unexpected and sensual relationship with Tara, whose influence on Willow is undeniable and shapes her magical and sexual developments. Yet it is the loss of Tara that drives Willow to her darkest place and her powerful yet evil unleashing of magic at the end of Season Six. Finally it is Kennedy who restores Willow’s confidence sexually and magically and enables her to change the Buffyverse forever. When the show first introduces her, Willow is a sweet but geeky girl who adores her best friend Xander, but her feelings are not reciprocated. She is a weak individual in a show dominated by characters with supernatural powers. Xander is Willow’s equal in terms of agency, because they both lack the ability to alter events around them. Throughout Season One and into Season Two Willow’s computer hacking skills develop and her role within the Scooby Gang becomes more important, as she surpasses her seemingly juvenile feelings for Xander. Willow’s sexual development really starts in Season Two when she begins a relationship with Oz: guitarist and werewolf. Oz is powerful and cool, attributes that Willow does not see in herself. Yet Oz is drawn to Willow, such as in the episode “Inca Mummy Girl” (2.04) where Oz notices Willow dressed as an Eskimo, over other more scantily clad ladies. In the episode “Halloween” (2.06) Oz sees Willow walking past his van and asks “Who is that girl?” with intense fascination. During their relationship Willow discovers magic and Oz becomes a werewolf after being bit by an infant relative. As Willow learns about and accepts Oz’s darker, wolfish impulses she begins to explore her own relationship to magic. The end of Season Two sees the culmination of the confidence Oz has given Willow and her willingness to delve into the magical. In “Becoming, Part 2” (2.22) Willow attempts a spell well beyond her proficiency and experience with magic. What she doesn’t realize at the time is that she was successful in restoring Angel’s soul; however, this advance is minimal compared to abilities she acquires during her relationship with Tara. 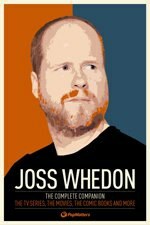 Joss Whedon’s importance in contemporary pop culture can hardly be overstated, but there has never been a book providing a comprehensive survey and analysis of his career as a whole -- until now. Published to coincide with Whedon’s blockbuster movie The Avengers, Joss Whedon: The Complete Companion by PopMatters (May 2012) covers every aspect of his work, through insightful essays and in-depth interviews with key figures in the ‘Whedonverse’. This article, along with previously unpublished material, can be read in its entirety in this book. Place your order for Joss Whedon: The Complete Companion by PopMatters, published with Titan Books, here.